Looking for the perfect basket to carry or store different items? 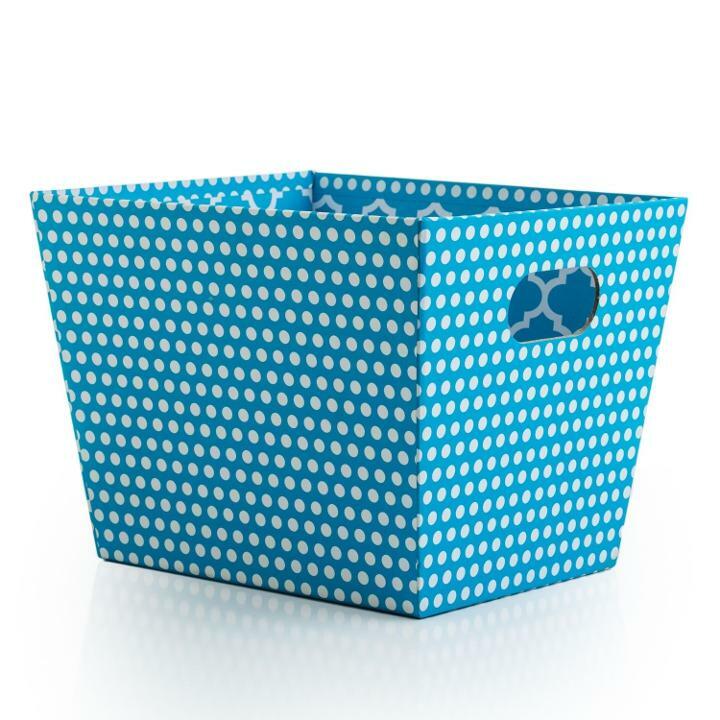 Measuring 8.5" x 6.75" x 7.5", this basket is convenient and durable. With handles on the two ends, it'll be a pleasure to carry around. The basket is great for toys, books, food items and more! Check out our full line of decorative baskets and boxes. 8.5 in. x 6.75 in. x 7.5 in. L: 8.5 in. W: 6.75 in. H: 7.5 in.